Building a new road is hard work. What machines are used to build new roads? 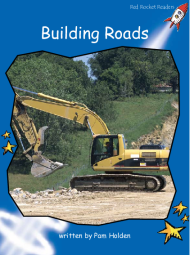 How do road workers make new roads where there are rivers and forests and mountains?